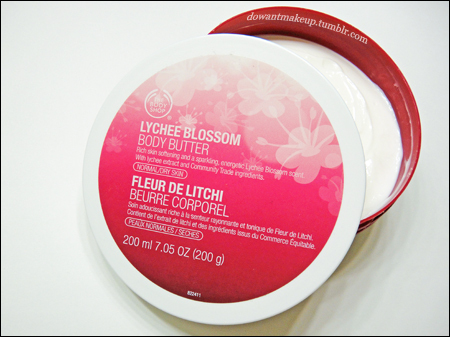 I really love the scent of this body butter: true to its name, it’s definitely lychee with floral tones and completely delicious-smelling. Smoothing some on my hands and arms in the morning is a lovely pick-me-up to send me on my way to work. This body butter is now discontinued, so you won't find it online. Stores are selling off whatever remaining stock they have, so you might spy it in the clearance section for (last I've seen) as low as $5!